We all know how pricey new cars can be, even the so called “inexpensive” options. If potential buyers are looking for a capable and dependable sedan, they’ll have to anticipate dishing out at least $20,000. This value is understandably out of some consumers’ budgets, meaning they’ll have to settle for an older, less-capable used car. However, that doesn’t necessarily have to be the case. Instead of pursuing a vehicle that’s pushing 10 years old, you can instead opt for a used car that’s only a couple of years old. While these options still won’t be cheap, you’ll surely find that the value fits into your budget a whole lot easier than their newer counterparts. If you’re looking for the best possible value, then it may be in your best interest to pursue a used Nissan Altima. Since the fourth-generation of the vehicle wasn’t regarded too highly, we’d recommended pursuing the newer fifth-generation (2012-present) models. These vehicles saw several revisions throughout the run, so none of the yearly models are necessarily the same. It took a while for the fifth-generation Altima to find its groove, but the vehicle has been commended for its changes over the years. For instance, Kelley Blue Book named the vehicle one of the “Top-10 Best New Sedans Under $25,000,” while Edmund’s listed the car as one of their “top recommended sedans.” The vehicle is regarded as one of the top sedans on the market, meaning you can secure an excellent deal by pursuing any of these used models. Fortunately, if you live in the Cincinnati, Ohio area, you won’t have to look too far to find a used Nissan Altima. You can visit McCluskey Automotive and peruse their vast selection of used vehicles, and you could be zooming off the lot in your “new” sedan in no time. In 2006, the Nissan Altima was released as a 2007 model and featured numerous upgrades and enhancements as the introduction to its 4th generation. The exterior was built on a smaller platform and sported a new front end and shorter wheels, however the interior space was about the same as its previous generations. The 2007 Nissan Altima brought advanced technology to the market like Bluetooth, a parking camera, and the Smart Key system. For its 4th generation debut, the Altima made a few enhancements to the engines used on its third generation. Drivers looking for a used Nissan Altima for sale in this model can find engine options such as a 2.5L 4-Cylinder engine and a 3.5L V6 engine. On its base model, the 2007 Nissan Altima came standard with a 6-speed manual transmission, while a continuously variable transmission was also available for upgrade. Overall, the 2007 Nissan Altima was impressively fuel efficient and remains a top contender among sedans on the market today earning up to 26 mpg in the city and 35 mpg on the highway. Drivers looking for a used Nissan Altima for sale may notice that the 2007 model year also featured an updated cabin and smartly placed controls, as well as additional cup holders onboard compared to its previous generations. For the 2008 model year, the Nissan Altima featured only a few notable changes. The engine options remained the same as the 2007 model, and the 6-speed manual transmission and continuously variable transmission still remained available. However, on each model of the 2008 Nissan Altima vehicles were equipped with an antilock braking system (ABS) with electronic brake-force distribution as a standard feature. Another important update for this model year was the addition of the coupe body style, which emerged as a dramatic and stylish option for drivers looking for a sportier style of the Altima. Upon its release, the 2008 Altima received praise for being one of the best handling vehicles in its class, especially when configured with the new coupe body style. At this time, drivers could also upgrade to navigation and enjoy a rear view camera. Today, drivers looking for a 2008 Nissan Altima can find it equipped with an impressive selection of technology and will be pleased with its still-competitive efficiency, handling, and power. 2009 featured very little changes to the Nissan Altima, as its next major redesign was scheduled for the 2010 model year. However, the 2009 Nissan Altima was especially popular among consumers for its high safety scores, high fuel economy ratings, and low starting MSRP. For the 2009 model year, stability control was only available for drivers investing in the 3.5L V6 engine however would become standard in the next model year. Drivers and critics noted that the preferred configuration of the 2009 Nissan Altima was the 3.5L V6 engine with the CVT. While the standard 2.5L 4-cylinder engine and 6-speed manual transmission offered plenty of power and sporty handling, the upgraded configuration simply offered more power output and the convenience of a CVT. For standard and available features drivers looking for a used Nissan Altima in the 2009 model year can expect to find six airbags, anti-lock brakes, keyless entry, a backup camera, navigation, and a power driver’s seat. Luxury and convenience features can also be found on the 2009 Nissan Altima including leather seating, a leather-wrapped steering wheel, and heated front seating. 2010 was an important year for the Nissan Altima, as its major facelift featured numerous upgrades and changes. The front end of the Altima was completely redesigned with modern and sleek touches, including new headlights and a new hood. For 2010, the Altima also offered electronic stability control across every trim level as a standard feature, where previously this feature was dependent on which engine was chosen. Drivers could also now choose from a coupe, sedan, or hybrid edition when purchasing the Nissan Altima. The 2010 Nissan Altima Hybrid offered a 245-volt battery and offered improved efficiency, however this model was less powerful than the Altima’s 3.5L V6 engine which offers up to 270 hp and 258 lb-ft torque. For drivers looking for a used Nissan Altima, this model is a great selection. Drivers and critics note that the 2010 Nissan Altima features comfortable front and rear seating, sporty handling, and a wide selection of advanced technology. These features are further enhanced by this model year’s enhanced and sleek exterior which can be found in up to eight color options across its three trim levels. Drivers can also find a used Nissan Altima for sale of this model year equipped with features like push button start, traction control, and cruise control. The 2011 model year also featured an additional exterior color, giving drivers up to nine options to choose from depending on the desired trim level. If you’re looking for a 2011 Nissan Altima, you’ll find it in front-wheel drive, and still equipped with its 2.5L 4-cylinder engine or 3.5L V6 engine paired with the 6-speed manual transmission or CVT. Like its previous model years, the 2011 Nissan Altima remained efficient and powerful. Overall, the fourth generation did not include many changes to the mechanical properties of the vehicle, but instead featured improvements to its onboard technology, safety, and design. 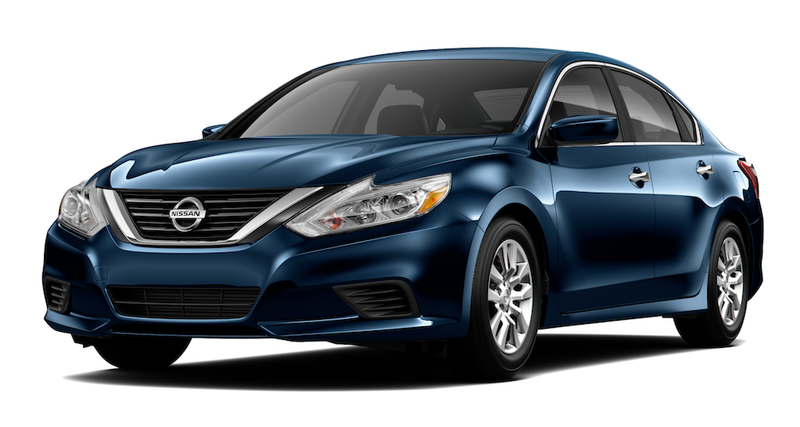 Drivers looking for a used Nissan Altima for sale will appreciate what the 2011 model year has to offer and can enjoy the technology and convenience features of a higher trim level at an incredibly affordable cost. For the 2012 model year, the Hybrid model of the Nissan Altima was discontinued, however the coupe and sedan body styles were still available. The 2012 Nissan Altima was also the end of the 4th generation, meaning it was the last model available before another major facelift. For this reason, there were not too many changes between the 2011 model and 2012 model. However, this model year did offer an enhanced suite of available entertainment features including a 9-speaker Bose sound system, Bluetooth, satellite radio, a USB port, and navigation. Meanwhile, standard features included a 6-speaker sound system and push button start. Like the 2011 model, the 2012 Nissan Altima also gave drivers the option to upgrade to a long list of luxury and convenience features like leather seating and heated front seats, as well as a moonroof and dual automatic climate control. Overall, the 2012 Nissan Altima is a great choice for drivers looking for a used vehicle for sale packed with plenty of modern technology and modern styling. Like the earlier models of the 4th generation Nissan Altima, the 2012 model maintained its 2.5L 4-cylinder engine and 3.5L V6 engine. So, drivers who find this model of the Altima for sale can expect the same high fuel economy and power as before. The fourth generation Nissan Altima was only on the market for seven years before the brand decided to revamp the model once again. The fifth-generation Nissan Altima made its debut in 2012 (as a 2013 model year), and the car featured a number of revisions and new features. Under the hood, the vehicle retained its 3.5-liter V6 engine, which was capable of pumping out 270 horsepower and 258 pounds-feet of torque. Meanwhile, since the continuously variable transmission lost nearly eight pounds, fuel efficiency was improved to 22 city/30 highway miles per gallon. Meanwhile, the brand offered an alternative 2.5-liter 16-valve DOHC engine which could deliver 182 horsepower and 180 pounds-feet of torque. While the 3.5-liter V6 didn’t see any bumps in power, the 2.5-liter engine actually saw a bump of around seven horsepower. This was the ideal option for those seeking optimal fuel efficiency, as drivers could expect a 27 city/38 highway mile per gallon fuel economy. The fifth-generation Altima did see a noticeable uptick in size, with some comparing the vehicle’s styling to that of the Nissan Maxima. However, despite the increase, the 2012 model managed to weight 120 pounds less than its predecessor. Since this change, the Altima has remained one of the lightest sedans on the market, with many attributing this trait to the brand’s clever use of high strength steel and aluminum. The exterior saw several other additions, including the inclusion of the same corporate grille that was found on the 2012 Versa, as well as angular headlights. The brand originally offered five different trim options with their Altima: the 2.5, 2.5 S, 2.5 SV, 2.5 SL, and 3.5SL. The brand also continued selling their L32 Altima coupe, which was offered with a 2.5-liter four-cylinder engine that could produce 175 horsepower and 180 pounds-feet of torque. After having sold 268,981 units in 2011, Nissan saw a considerable jump in sales following the release of the fifth-generation Altima. In 2012, the brand sold 302,934 units, a (then) personal-high for the model. The big addition to the 2013 model was the introduction of the Nissan Advanced Drive-Assist Display. This 4.3-inch LCD screen differs slightly from the infotainment system that’s featured in many of Nissan’s vehicles. This technological feature was included to allow drivers to monitor an array of information without having to take their eyes off the road. The display will bring up a variety of notifications, including phone calls and text messages, the four-wheel drive diagnostics, navigation, and warnings. While this information is also accessible via the vehicle’s center screen, it’s easier for the driver to see the information when it’s cleverly placed behind the steering wheel. Of course, it wasn’t all good news for the 2013 model. As a result of mediocre sales, the brand discontinued the Nissan Altima Coupe. As a result, the Altima was now solely considered a standard sedan, and the engineers decided to not opt for a new hybrid or coupe version of the car. Speaking of technology, Nissan’s engineers built upon the progress they made with the 2012 model. The 2013 version of the Altima included the new Technology Package, which includes the innovative NissanConnect multimedia system. Drivers could also opt for the new Display Audio Package, which provided owners with a 5.0-inch display, satellite radio, a USB port, and a backup camera. Fortunately, drivers also made it possible to connect your iPhone or Android to the system, meaning you could easily access all of your preferred applications without having to look down at your phone. The exterior also saw some slight revisions during this model year. Drivers could now opt for 16-inch aluminum-alloy wheels, as well as chrome exhaust finishes. The brand even offered the new Gun Metallic Paint, which ultimately replaced the Metallic Slate offering. The major change in the 2015 model was the improvement in fuel economy coming from the powerful V6 engine. While the one mile per gallon improvement (in the city) may not seem like that much of a difference, it surely has a major impact on your wallet over the long run. The intelligent climate control was also included on every Altima that was equipped with a remote-starter, meaning drivers can cool down or heat up segments of their vehicle from the comfort of their own home. Meanwhile, the SV model of the Altima saw some major revisions, including the inclusion of fog lights and an eight-way power driver’s seat. Speaking of trims, the 3.5S and 3.5 SV version were discontinued. Despite being in the same generation, the 2016 version of the Nissan Altima doesn’t necessarily resemble the previous model years. That’s because engineers gave the sedan a complete facelift, consisting of new bumpers (front and rear), new headlamps and tail lamps, and a new steering wheel. The brand even added the innovative Zero Gravity front seats and a revised center console. Perhaps the best inclusion was the sound-eliminating functions of the vehicle, including a sound-reducing windshield. Instead of having to deal with that annoying hum as owners raced down the highway, these Altima owners could now travel in peace. With our huge selection of used cars, trucks and SUVs you're sure to find your next vehicle at McCluskey Auto. Our knowledgeable and professional sales staff is ready to get you on the road in your next ride and will be with you each step of the way. Come in today to see what we can do for you!